Dr. Keung received the B.Sc (Hons) in Computer Science from the University of Sydney, and the Ph.D in Software Engineering from the University of New South Wales, Australia, under Professor Barbara Kitchenham and Prof. Ross Jeffery. He was then a Research Scientist in the Software Systems Research Group at NICTA (now DATA61, CSIRO) based in Sydney Australia prior to returning Hong Kong. He is an active software engineering researcher, and his main research area is in software engineering quality related, such as cost estimation, defect prediction, empirical modeling and evaluation of complex systems, and intensive data mining for software engineering data. He has worked with a number of software companies and government departments across Asia Pacific and attracted funding supports for research projects from both the government and the industry which had been successfully carried out. His research work have been published in prestigious journals including IEEE Transactions on Software Engineering, Empirical Software Engineering Journal, Information and Software Technology, the Journal of Systems and Software, Automated Software Engineering and many other leading journals and conferences. 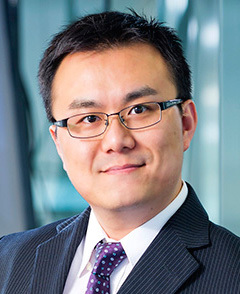 Dr. Keung is also the vice-president of IEEE Hong Kong Section Computer Society Chapter since 2016.